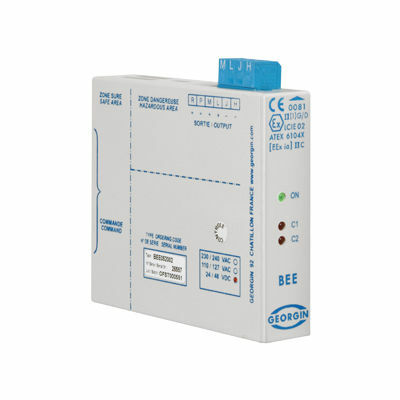 AC/DC power supply / ATEX / remote control / DIN rail - BEE series - GEORGIN S.A. This device is designed to supply instruments in hazardous area. Control by 24V remote control or by switch in safe area.